Chef Boy calls his next culinary masterpiece "Silly Crab with Chili Sauce". Why did he call the crab silly? Well he explains, becaise the crustacean dives and swims in boiling oil for this hot and spicy dish. 4. 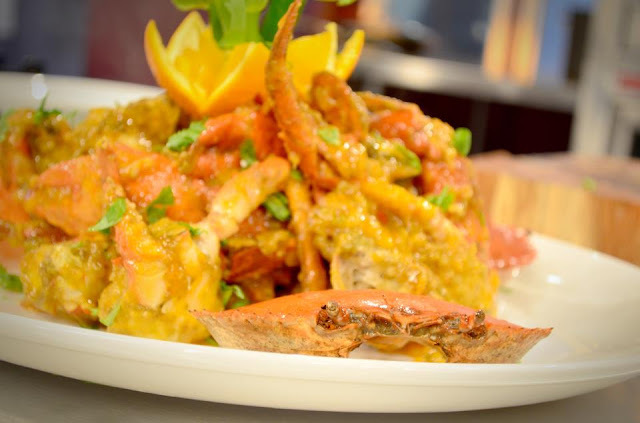 Toss the deep fried crabs into the sauce. Place on plate then garnish with julienne onion leeks and coriander leaves.